Printed packaging tape has an advertising value that is second to none in profiling your company with regard to customers – both existing and potential. 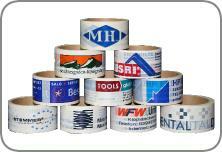 Packaging tape is also a sound, inexpensive way of making a company or product more visible into the bargain. But it must be supplied by professionals. And it must be of supreme quality. Printed tape is not just an inexpensive and effective advertisement. It is also an inexpensive, efficient way of preventing theft. Printed tape is a way of sealing your packages. Broken tape will be noticed immediately by the recipient. 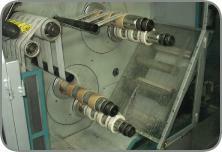 artons shows that printing on tape is far less expensive. 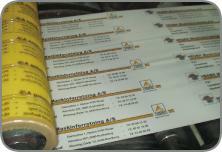 Printed tape with your own brand and text, homepages, pictures etc. is an easy way to advertise and promote your brand, and it is also a security for the reciever of your shipments. It is easy to see if the tape is broken.